We believe that the church is a family and so every member has a role to play. However, we also have a dedicated staff-team who lead, run things day-to-day to help “prepare God’s people for works of service, so that the whole body might be built up” (Ephesians 4:11-12). Andy grew up in Margate in Kent and worked at the BBC in London as a Studio Engineer in the TV News department. Andy came to faith in Jesus when he was 24-years-old after joining an enquirers group at his local church. He is married to Amanda and they have two grown-up sons. 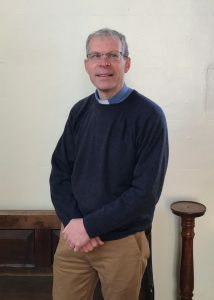 Andy worked as an assistant minister in Clacton-on-Sea in Essex before becoming the vicar of Kilnhurst in 2009. He tries to keep fit at the local gym and is interested in model railways. You can contact Andy on 01709 589 674 or by email. Tom worked in business for 6-years before 3-years further training in London and moving to Kilnhurst in 2018. He’s convinced that Jesus is brilliant news for everyone and that there’s no greater job than telling people about it and helping them work through the challenges of life. 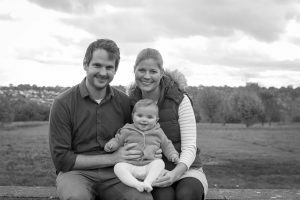 Tom’s married to the lovely Claire and father to two little girls – Alice and Chloe. He’s a big sports fan, playing rugby for Wath RUFC and supporting Leicester Tigers and Arsenal. He loves a laugh and thinks he’s far funnier than he actually is! You can contact Tom on 07825 913 286 or by email. Jenny has been a Christian since her teenage years, and moved from Sheffield to St Thomas’ in 1995 to help with music. 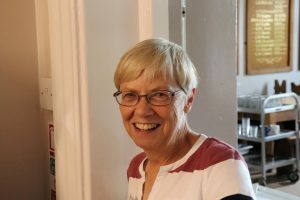 Since then she’s moved to live in the Parish, retired from teaching and spent the last 7-years as part of the staff team, encouraging the folk of Kilnhurst to meet, discover and grow in their walk with Jesus. She spends her time in 1-to-1 work, leading home groups, and in any other way that’s helpful. She loves music and cats, is a keen tennis fan and enjoys running the Community Choir. You can contact Jenny on 01709 581 163 or by email. Lydia put her trust in Jesus when she realised all the stories she’d heard about him as a child were true, and he really had the power to rise back to life after his death. She spent her teenage years being increasingly thankful that she could find forgiveness with him. She now loves teaching children and young people those same truths, in the hope that one day they will also put their trust in Jesus. Lydia is a keen walker and always enjoys a good board game – all challenges are accepted! You can contact Lydia on 01709 581 163 or by email. 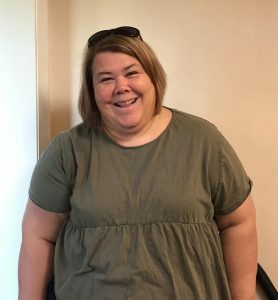 Amanda came to faith as an adult after being invited to go along to a barn dance at her local church by a neighbour. She is married to Andy and they have two adult children. 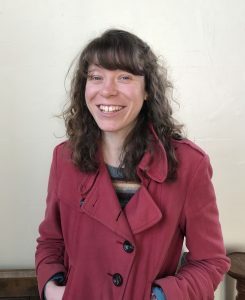 Before children she worked in retail HR and as an administrator for two national charities before re-kindling her love of all things admin by volunteering at a local community centre when the children were at school. Since then she’s worked for 3 different churches, supporting the vicars with their (extensive) admin tasks. Her favourite parts of the job are looking after wedding couples and paying the bills! She loves football, books and socialising. You can contact Amanda on 01709 589 674 or by email. As well as the staff team, we have two church wardens and an elected PCC (made up of lay members of the church family) who are entrusted with oversight of the church. Colin Proudman and Simon Langmead. Jane Proudman, Sue Lamprell, Jo Airey, Kadie Fenton-Wightman, Simon Bradshaw, Jacob Corcoran, Pam Proctor, Jill Sanderson and Craig Ferrier.